Your shop's doing fine...but you know it could be doing great. 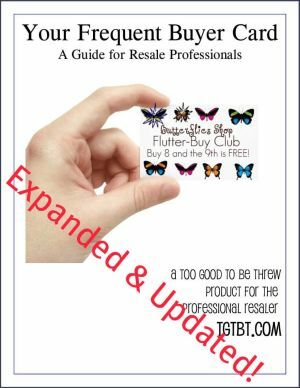 Not content to be "just another resale shop", you use these Products for the Professional Resaler to keep your resale, consignment or thrift shop growing. To order a Product, click its add to cart button. You can revise your order before you finalize it. Please review Ordering FAQs before you complete your order. You're a seasoned resale shopkeeper. But you're always open to ways to do what you do, better. The Manual's gonna be your new BFF. Read all about it. Loyalty cards are carried by more than 90% of shoppers. Should one of those cards be yours? 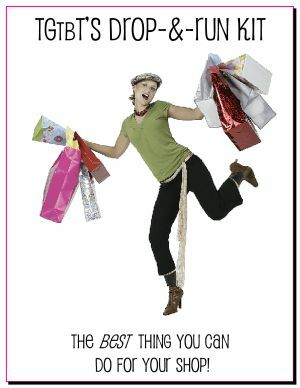 Learn how to encourage shoppers to shop more often and buy more. Build loyalty to your business at the same time!. 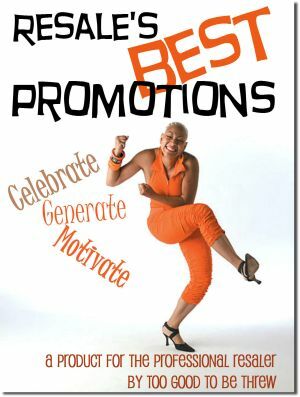 Includes all the info you need, some layout ideas to get you started, ready-to-use in-store signage and even staff badges! 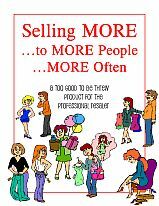 From 10 Steps to Build Bigger Sales all the way thru to How to Increase Store Traffic, this booklet is chock-ful of ideas to increase your bottom line by moving more product every day. * How much per bag? You can compete with them. 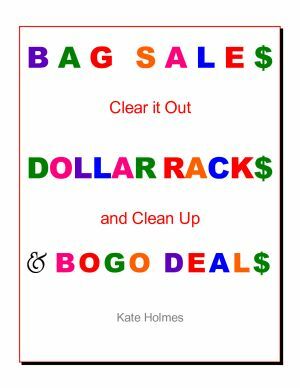 What, you say, you don't need to...your clientele wouldn’t be caught dead at a garage sale? Don’t be so sure! 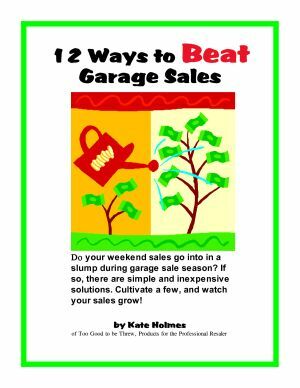 Do your weekend sales go into in a slump during garage sale season? If so, there are simple and inexpensive solutions. Cultivate a few, and watch your sales grow! 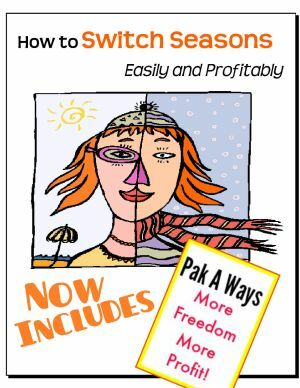 How to Switch Seasons Easily & Profitably PLUS Pakaways: More Freedom, More Profit DOUBLE Product! Have a specific situation you could use some input on? 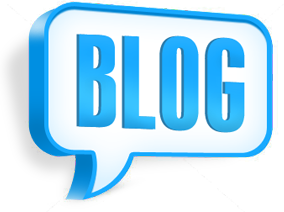 Search the Auntie Kate blog for posts that'll help!